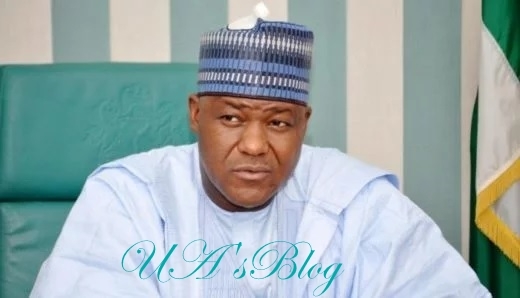 Speaker of the House of Representatives, Yakubu Dogara, has stated that the House of Representatives would resist any further attempt to frustrate the enactment of the Electoral Act Amendment Bill. He said the failure to do so would be indicative of a desire not to improve on the successes recorded in the 2015 elections. Delivering a speech to mark the resumption of the House from its annual recess at the National Assembly, Hon Dogara said the passage of the Bill was also important in order to quell fears that some forces intend to manipulate the forthcoming elections by exploiting identified loopholes in the Electoral Act currently in force. He explained that the new Electoral Act amendment Bill has provisions that are designed to guarantee free, fair and transparent elections in Nigeria, entrenches the Smart Card Reader and electronic transmission of results, among others. In a statement made available to DAILY POST by Turaki Hassan, his media aide, the Speaker also added that the Independent National Electoral Commission (INEC) Supplementary budget Bill must also be accorded expeditious consideration. “As we settle down to business, let me reiterate that the INEC Supplementary budget Bill must be accorded expeditious consideration. Furthermore, the pending issue of the Electoral Act Amendment Bill, which was unfortunately vetoed by Mr President, must also be expeditiously considered and passed. “The new Electoral Act amendment Bill has provisions that are designed to guarantee free, fair and transparent elections in Nigeria. The amendment Bill entrenches the Smart Card Reader and electronic transmission of results among others. “Any further attempt to frustrate the passing into law of the Bill, will be indicative of our desire not to improve on the successes of the 2015 general elections further fueling the fears that some including our international partners have about some forces who intend to manipulate the forthcoming elections by exploiting identified loopholes in the Electoral Act currently in force,” he added. He said, “The goal of some people who are working to enthrone tyranny and despotism is to harass, intimidate and ridicule this great institution of the people to the point that we are forced to abdicate our responsibilities and fidelity to our oath of office. “It’s a pity that these elements know nothing about the character of this great Institution and the fact that our devotion to the rule of law far surpasses our love and admiration for any individual or group of persons. If this was not the case, third term would have succeeded and the motion on the doctrine of necessity would have failed. “The leadership is aware of the impunity that characterised the conduct of some primaries in which some of our members allegedly lost the ticket to contest in the next election. We have done our best to ensure internal democracy within parties but it appears parties prefer to pander to the whims and caprices of some individuals rather than the law.